If change is the only constant in life, that’s true of employee safety regulations as well. With one big change just finalized in Ontario, and one more seemingly just around the corner for the province, employers will need to prepare to ensure policies and programs are in place, practices are up to date and resources are set aside to cover the costs. The biggest news of the last year was Bill 132, amending the Occupational Health and Safety Act (OHSA) to provide greater protections for workplace harassment, according to Adrian Jakibchuk, an associate at law firm Littler in Toronto. As of Sept. 8, 2016, the bill required employers to have a workplace harassment policy in place, as well as a program for implementing that policy. Ongoing reviews are required, as well. “I’m sure there was a scramble by many employers to meet that deadline,” says Jakibchuk. For some organizations, investigating all complaints will require something of a cultural shift. “This is going to be a big adjustment for a number of employers who in the past would have been too quick to discount allegations they might have viewed as more petty or trivial,” says Jakibchuk. The type of investigation, however, can still be at the employer’s discretion. “Under the statutory guidelines, the requirement is that you do an investigation appropriate in the circumstance,” says Jakibchuk. Employers must develop and maintain their program in consultation with their joint health and safety committee or a health and safety representative, according to David Turner, a partner at Turner HR Law in Toronto. Other issues for employers may crop up with the new regulations, as well. “You may have a situation where an employee tells an employer about something that’s concerning and that would fall under the definition of workplace harassment, but they also tell the employer they don’t want to make an official complaint and they don’t want an investigation,” says Jakibchuk. Another challenge for employers will be to understand how to deal with claims that seem to be malicious or without merit, says Turner. Policy and program development, training, and the staff to handle complaints and investigations — all require resources. “If an organization is going to do an investigation internally, especially when investigations are about supervisors or managers, they may not have the different layers of people needed who are separate and distinct from what the complaint is about,” says Jakibchuk. To offset this challenge, the bill stipulates organizations must have the required backups or mechanisms in place to conduct investigations. For smaller employers, it could mean using a third party, he says. Employers in the small or mid-size range “simply don’t have the resources to hire an HR person dedicated to these sort of issues,” says Turner. To ensure the handling of complaints and investigations goes smoothly — whether done internally or by a third party — staff need to be prepared. “The number one thing is to ensure that there’s training,” says Jakibchuk. Despite the cost of training and investigation, failing to take these steps could come with an even higher price tag. “If you don’t do a proper investigation or you don’t do an investigation at all, you’re liable, just as you would be under any other offence under the OHSA,” says Jakibchuk. “What’s more, if an employer or a complainant does not believe that an employer did a proper investigation or didn’t do an investigation at all, there is recourse for the Ministry of Labour to have a third party investigate at the employer’s expense,” he says. Keeping employees safe, of course, is at the heart of the bill. But there’s another silver lining for employers. Putting the policies and programs in place could ultimately reduce the need for their use. “While these requirements may seem onerous, following them closely may actually help foster a culture of health and safety and assist employers in avoiding incidents as well as the need to initiate later investigations, which can be quite costly and disruptive to the workplace,” says Turner. There’s another proposed change on the brink of becoming law. Bill 26, the “Domestic and sexual violence workplace leave accommodation and training act 2016,” is before the Ontario legislature, having passed second reading. 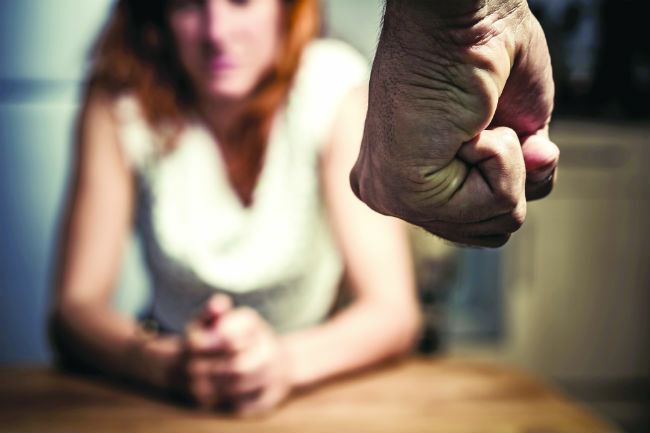 “Bill 26 would, if passed into law, amend the Employment Standards Act (ESA) and Ontario’s OHSA to provide added protections for workers who have experienced domestic violence,” says Turner. If this bill is passed, the ESA would be amended to have a new leave for victims of domestic violence, says Jakibchuk. The current ESA gives employees at least 10 days’ leave, but the new bill would ensure paid leave for those 10 days. “The purpose would be for the employee or employee’s child, if they’re the victim, to seek medical attention, social services assistance or psychological counselling,” says Jakibchuk. The occupational health and safety act would be changed as well; employers would be required to provide information and training for staff about domestic and sexual violence. If the bill goes ahead as written, employers would also be obligated to offer accommodation to employees who are victims of domestic violence or whose children are victims, says Jakibchuk, including changes to their hours of work. The reassuring news for employers is many of the proposed changes are already part of workplace regulation. As well, says Turner, the Ontario Human Rights Code already requires employers to provide reasonable workplace accommodations on the basis of disability, family status and other protected grounds.